Bollywood megastar Amitabh Bachchan, who had shot for a popular song from 1983 film “Mahaan” at an iconic location in Kathmandu, has mourned the loss of lives in quake-hit Nepal and expressed grief at the destruction of heritage buildings. The 72-year-old had shot the song “Pyaar mein dil pe” with Zeenat Aman at the Durbar Square, a Unesco World Heritage site in old Kathmandu. The location, which looks bright and lively in the song’s video, is now reduced to rubble following the 7.9-magnitude temblor Saturday, which has left over 1800 people dead. “In the face of such disaster, we mourn with them that have been displaced or lost to the heavens. 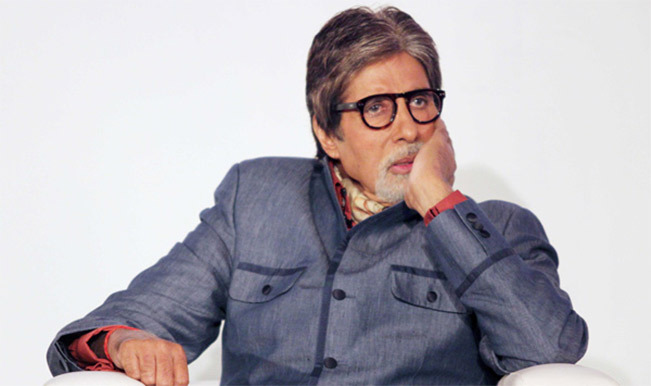 It is a most horrid site to see those buildings in absolute destruction… some of them of great heritage value,” Bachchan posted on his blog late Saturday night. “Our prayers go out for Nepal and all those other centres of the northern belt, who have felt the fury of the earthquake,” the actor said. Even the 183-year-old iconic Dharahara tower, which gave visitors a panoramic view of Kathmandu, collapsed due to the massive earthquake.